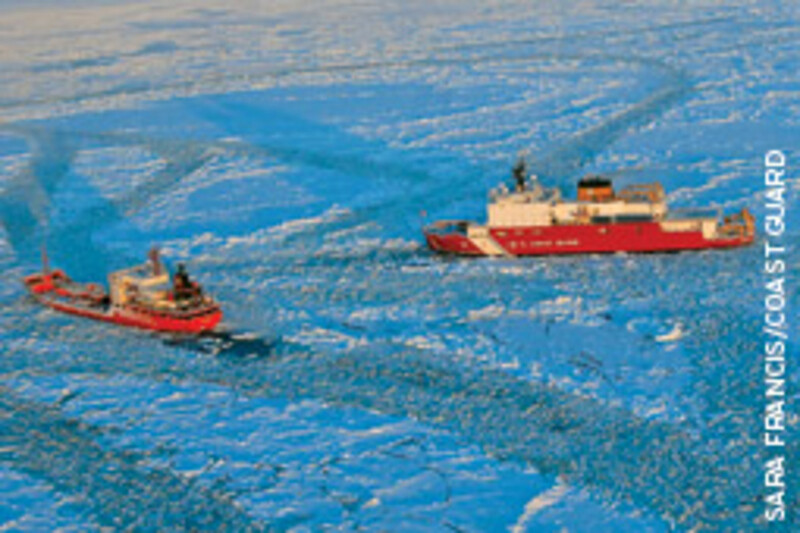 SEA OF ICE: The Coast Guard cutter Healy breaks ice while escorting the Russian-flagged tanker Renda in the Bering Sea. 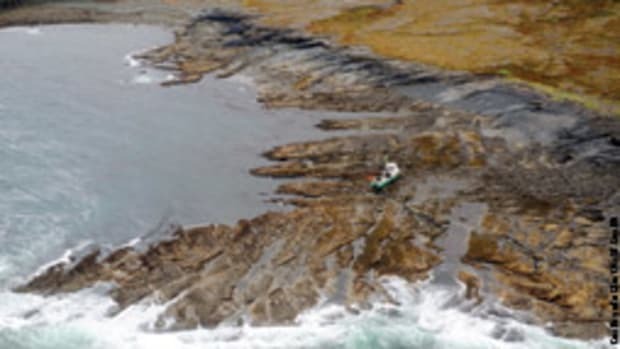 The tanker was carrying 1.3 million gallons of fuel for delivery to icebound Nome. 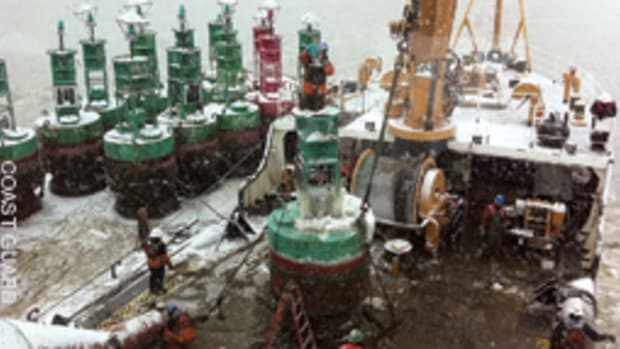 A fall storm prevented Nome from getting a fuel delivery by barge in November. Two boats were abandoned and one crewmember died on the North American Rally to the Caribbean in November, a reminder that the popular fall East Coast cruising rallies hazard the closing weeks of hurricane season and a possible run-in with a storm. The rallies, which run offshore from East Coast cities to the Caribbean, enable delivery captains and pleasure boaters to cruise in company to winter destinations in the islands and find some measure, though no guarantee, of safety in numbers. Jan Anderson, 59, of Sausalito, Calif., died Nov. 11 when a 30-foot wave swept her off the Island Packet 38 Triple Stars 285 miles southwest of Bermuda. Her husband, Robert, who was rescued by the 600-foot tanker High Jupiter, reported seas running 25 feet because of Tropical Storm Sean, a surprise storm that disrupted the three cruising rallies running down the Eastern Seaboard in early November. Another NARC entry, Elle, a 46-foot Beneteau owned and skippered by Foster Ashton, was abandoned Nov. 6 in 30-foot seas and 40-knot winds, 200 miles north of Bermuda. 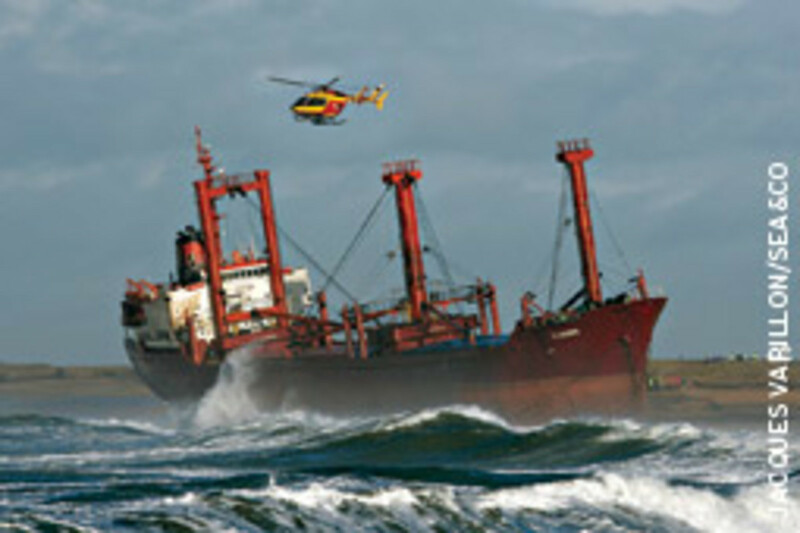 The 390-foot Bermuda-based container ship Oleander rescued Ashton and his three crewmembers. Ashton reported that Elle had lost her steering. The 21-boat NARC fleet departed Nov. 1 and 2 from Newport, R.I., for Bermuda, then St. Martin. “The fact that Sean developed was a bit of a surprise,” says Hank Schmitt, president and owner of Offshore Passage Opportunities, of Halesite, N.Y., which hosts the NARC and links crewmembers with boats in the rally (www.sailopo.com). The NARC is one of three East Coast rallies that run to the Caribbean in November. The Caribbean 1500, which Steve Black recently sold to the U.K.-based World Cruising Club (www.worldcruising.com), runs from Hampton, Va., to the British Virgin Islands or the Bahamas. 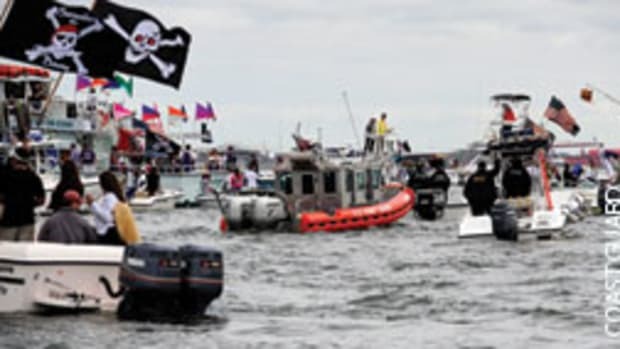 The Salty Dawg Cruising Rally runs from Hampton, Va., and Beaufort, N.C., to wherever a cruiser wants to go in the Caribbean. The Caribbean 1500 drew 63 entries this fall. Salty Dawg — in its first year — drew 32, “bigger than we ever expected,” says Linda Knowles, of Barrington, R.I., who with her husband, Bill, organized it almost on a whim. “Let’s get a couple of friends together and do it ourselves and not do the 1500 this year,” Bill Knowles told his wife earlier this year. They evidently hit on something because the rally drew more than just a few friends. Salty Dawg is free; the Caribbean 1500 charges a fee that includes seminars, hosted parties and other services. It also provides daily weather reports and a dedicated single sideband net so participants can chat and make mandatory daily check-ins. Cruisers start from both Hampton and Beaufort, and the destination is flexible. Participants can peel off to the island of their choice. And Salty Dawg advertised a Nov. 1 departure. One reason the couple opted out of the 1500 this year was its Nov. 7 start. If a skipper winds up leaving even a day late with that schedule, “pick-up” crew often must back out because they want to be home by Thanksgiving, Linda Knowles says. In November, scheduled departures, actual departures and favorable weather windows are problematic, with the odd tropical storm or hurricane blowing through the Atlantic or Caribbean and stormy lows roaring off the East Coast. “We’ve sailed the Caribbean 1500 seven times and there was only one year we left on time,” Knowles says. Their best intentions notwithstanding, Sean pushed the Nov. 1 start back six days. “We lost our own crew [because of the delay] and had to get new crew,” Knowles says. Fortunately, Schmitt, at Offshore Passage Opportunities, made some crew referrals and provided replacements. Julie Palm, of Cushing, Maine, who with her husband, Rick, manages the Caribbean 1500 for the World Cruising Club, says early November starts make sense for several reasons despite the threat of bad weather. First, insurers typically exclude coverage of boat damage from named storms in the Caribbean below north latitude 23 degrees, 30 minutes between July 1 and Nov. 1. (The Atlantic hurricane season runs from June 1 to Nov. 30.) When the exclusion expires Nov. 1, charterboat crews especially want to hightail it to the Caribbean as soon as possible for the Nov. 15 start of the charter season, Palm says. Many of the boats departing Newport in the NARC are charter boats that professional delivery skippers sail, assisted by amateur crews. Palm says cruisers also want to get a jump on the voyage south because the later in November they start, the harder it is to sign volunteer crewmembers because most people want to be home for Thanksgiving. Another consideration is where to start. Palm says a southerly start makes it easier — particularly for skippers of smaller, slower boats — to find a weather window and make a quick dash across the Gulf Stream. She says there are fewer storm fronts to contend with. “Some years, you don’t get any tropical storms,” Knowles says. Ultimately, she says, it is the skipper’s call whether to set out with the fleet, leave before it leaves, hang back and leave later or not leave at all. “You’re the skipper of your boat,” she says. “We give you all the tools to make an intelligent decision, but once you cast off your lines, it’s your responsibility.” Knowles says she and her husband plan to lead a return rally in May from Nanny Cay in the U.S. Virgin Islands to their home base at Blue Water Marina in Hampton. Next year there could be some repositioning of the rally fleets. Schmitt says he’s eyeing restricting the NARC fleet that leaves from Newport to larger charterboats crewed by professional captains, referring smaller cruising boats south to Hampton to start in one of the other rallies, and linking up his members who are looking for a boat to crew aboard to all three rallies. Four Bahamian fishermen stranded at sea for five days without food or water after their fishing boats became disabled were rescued by the Coast Guard Dec. 14 about 50 miles south of Andros Island in the Bahamas. The Coast Guard received a report through the Royal Bahamian Defence Force that two small fishing boats launched from the Tropic Explorer did not return. A Cessna aircraft crew in the area saw the stranded fishermen and reported their location to the Coast Guard. An Air Station Miami HC-144 Ocean Sentry air crew located the fishermen and dropped a radio and food. The Coast Guard then launched an Air Station Clearwater MH-60 Jayhawk helicopter, which hoisted the fishermen and took them to Nassau. Hard aground: The Maltese-flagged cargo ship TK Bremen was beached in 50- to 60-knot winds and 16- to 21-foot seas during winter storm Joachim in Erdeven on the northwest coast of France Dec. 16. The 19 crewmembers were evacuated by helicopter with no injuries. 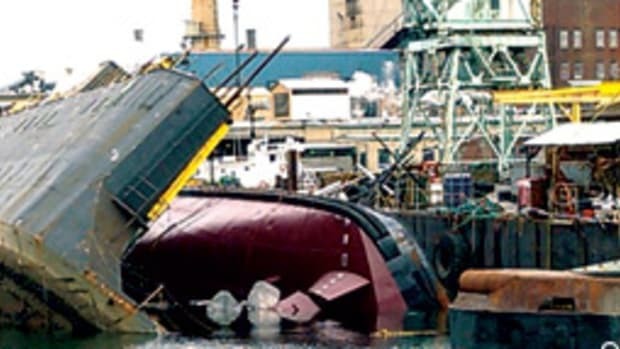 By early January, hope of salvaging the ship, which had offloaded its cargo, was abandoned, and a dismantling project began. Two people were rescued Dec. 21 after their 37-foot sailboat grounded on a reef in Puerto del Manglar, off the eastern shore of Culebra, Puerto Rico. 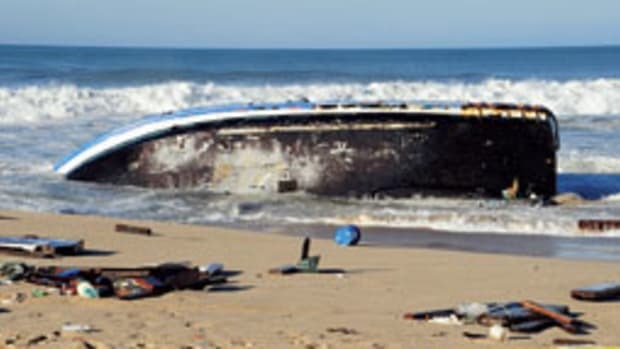 A 24-year-old man from Jacksonville, Fla., and an 18-year-old woman from Silverton, Ore., were aboard. 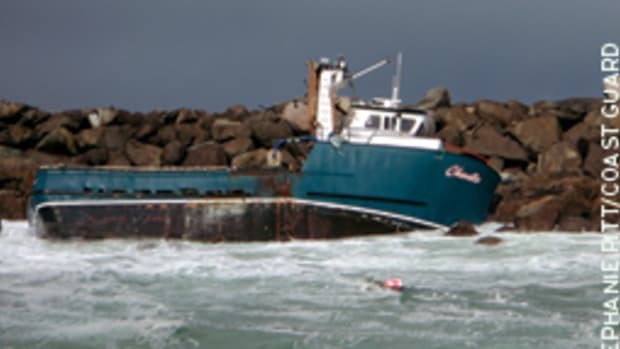 Coast Guard watchstanders at Sector San Juan were contacted by Morning Mist through a 911 operator, reporting that the boat had run aground and was taking on water. Morning Mist had grounded on a reef earlier that day, but the skipper was able to free it and continued to Puerto Rico. Watchstanders launched an Air Station Borinquen MH-65 Dolphin, which deployed a rescue swimmer and hoisted the pair to the helicopter. The captain of Morning Mist made arrangements with Sea Tow Puerto Rico to salvage the the boat. The crew of the 623-foot Panamanian-flagged bulk carrier Luisia Colossus spotted the 35-foot sloop Hikari about 150 miles southeast of Bermuda Dec. 22 after the skipper, Sergei Morozov, fired a parachute flare. Morozov said he was not in distress but asked for food, water and help with his battery. Morozov’s daughter had contacted the Coast Guard via e-mail after she received a relayed message from her father that his boat was slightly damaged but that he anticipated making Bermuda by Dec. 19. The Coast Guard attempted to establish communication for nearly 19 hours and covered about 38,000 square miles by aircraft before suspending its search for Morozov Dec. 21, citing additional information indicating that he was not in distress. He reportedly left the area after he was resupplied, bound for Bermuda. A Coast Guard MH-60 Jayhawk helicopter crew rescued an elderly couple and their dog as their boat took on water about 50 miles west of Cedar Key, Fla., Dec. 2. The skipper of Splash of Lime contacted Sector St. Petersburg watchstanders at 7:20 a.m., saying the 59-foot powerboat was taking on water and he was unable to control it. Air Station Clearwater launched a Jayhawk, which lowered a dewatering pump and rescue swimmer to help with the dewatering. The Jayhawk returned to its base to refuel, but the Coast Guard was notified that the flooding again was uncontrollable. The helicopter returned, and its crew hoisted the man, woman and dog, who were taken to Air Station Clearwater. No injuries were reported. A Coast Guard boat crew from Station Cortez rescued three people who were in the water after their boat capsized near Longboat Pass, Fla., on the evening of Dec. 17. A good Samaritan on land told watchstanders at Sector St. Petersburg that he had the capsized vessel and three people in sight. Simultaneously, the captain of the capsized 17-foot boat called Station Cortez on his cellphone while holding on to the hull. 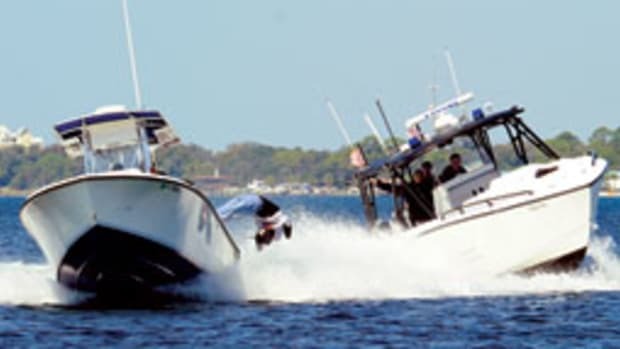 A Station Cortez boat crew aboard a 25-foot Response Boat-Small rescued the three people, who were wearing life jackets, and transferred them to Coquina Boat Ramp, Fla. The blizzard of 1888, known as “The Great White Hurricane,” paralyzed the East Coast from Maine to Chesapeake Bay when it delivered 80-mph gusts, heavy snow and plunging temperatures for 36 hours, beginning March 11. An estimated 200 ships were grounded or sunk, and 100 seamen perished. High winds dropped water levels in the Potomac River, leaving ferries linking Washington, D.C., to Virginia aground. Coastal cities were isolated for days by downed telephone and telegraph wires and snowdrifts 50 feet deep. The National Weather Service estimates that the nor’easter dumped 50 inches of snow on Connecticut and Massachusetts and 40 inches on New York and New Jersey. The crisis inspired the creation of the Boston and New York subway systems.